What are some settlement amounts for Lime scooter accident claims? How much is a Lime scooter accident case worth? How much does a Lime scooter injury lawsuit settle for? How much is a Lime scooter accident lawsuit case worth? Many times, accidents happen because individuals do not follow traffic laws or try to zoom around other vehicles. The scooters can travel up to 15 mph and can be difficult to spot from some angles. Cars have hit riders quite routinely, and not every crash has been the fault of the rider. In fact, some of the scooters have had inadequate or broken lighting or other defects that contribute to crashes. 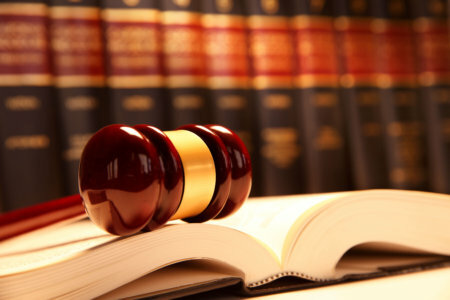 Therefore, it is important that you determine who is the proper party to take legal action against. If you were hit by a car, you should file a claim against the driver’s insurance company. However, if a Lime scooter had a defect that contributed to the crash, you could also file a claim against Lime. Lime does have a policy written into its terms that says that individuals cannot sue if they were hurt because of their own negligence, however. Fortunately, a qualified attorney will be able to help you with your case and prove that you were hurt as a result of another party’s negligence. A Lime Scooter Accident is problematic for many reasons. For one, you may not know what to do in the aftermath; you could be potentially confused, injured, and unsure of how to proceed. You may have been in a car crash before, but it seems like a totally different situation. Fortunately, the two accidents are extremely similar. The most important thing to do is to seek medical attention from the paramedics or go to the emergency room if necessary. You should not hesitate to get help if you need it. There are two reasons for this: one, your health is extremely important and you must make sure that you are not severely injured or in danger of long term or permanent damage, and two, the longer you wait to seek medical treatment, the harder it will be to convince Lime that you were hurt in the scooter accident. If they see that you were hurt on a Monday but did not go to the doctor until the following Sunday, they could dispute the extent of your damages and required treatment. You should take photos of everything you can, including your injuries, the scene of the accident, and more. You can never have too much evidence if you plan on suing Lime. Next, you should alert Lime to the accident by filing a report through the app. You can show that you were rightfully renting a Lime scooter at that time and paid the fee to unlock and ride it. You should take a screenshot of the ride and the complaint. Once the ride has been paid for, you should also print out your bank statement showing the transaction occurred. If possible, keep the scooter as evidence. If you cannot do so, you should take as many photos as you can to show the areas it was damaged or what kind of defect it had. You could show how you fell from it or how it was hit by a car. If you were struck by another vehicle, you should contact the police. The cops will conduct an investigation and take further legal action. If the person who hit you was drunk or driving negligently, the police can issue a ticket. You should also request a copy of the police report, or contact the station once everything has been filed for a copy. Finally, it is crucial that you contact an attorney to help you deal with your Lime scooter accident lawsuit. You may not have the ability to negotiate very well or you may lack legal experience altogether. It will be in your best interest if you enlist the services of a skilled lawyer to handle your case for you. Most companies have insurance providers who cover them in case of accidents. They provide liability insurance for injuries that customers sustained after using their products or services. These insurance companies can disclose settlement amounts for claims. These numbers can then be used to determine the average compensation or average payout of a lawsuit filed against a specific company. Lime, however, is self-insured, meaning it does not have an insurance company providing it with coverage. It handles all of the claims in-house and does not publicize anything. Lime accident case settlements are therefore kept very private and are difficult to find. As a result, there is no calculator that exists that allows you to input your injuries you sustained in a Lime scooter accident and the value of a Lime scooter accident claim will pop out. The way that your claim will be weighed is simple, though. The adjuster or representative from Lime will consider your injuries – the extent, the impact they had on your daily life, how hard they made it for you to complete your job or return to work, and more. If they were particularly damaging and severe, you would likely face a larger settlement than if they were inconsequential. A quick recovery with no lasting damages would yield a small settlement, if any at all. One of our attorneys can help you figure out if a Lime injury lawsuit is worth a fair amount or not. We will be able to help you determine the negligence of the company or any other third parties. A Lime scooter injury case can be worth much more if there were high levels of negligence; for example, if the company did not maintain the scooter at all and allowed it to go on the streets with obvious defects, the company could be held liable with no chance for any other party to be responsible. Speak with one of our attorneys to learn more about Lime electric scooter injury lawsuit settlement amounts. Don’t hesitate to reach out to our Los Angeles law firm if you have been involved in a scooter accident. We will file your claim for you and do all we can to secure you the settlement you deserve. Many individuals who ask us about the average settlements for Lime scooter injury cases do so because they already have attorneys and are curious if they are getting the best representation possible. They may have been pressured to accept a low offer and wish to know if the value of the case is actually much higher. Unfortunately, many attorneys tend to operate in this manner. They will try to hurry cases along and get clients to agree to small settlements from insurance companies so that they can collect a portion and move on to the next claim. They do not want to spend weeks or months negotiating; for them, it is easier to request a measly sum and force the client to accept it than it is to work to bring a larger settlement. We believe these acts are examples of bad faith and we will tell you what we think your case is worth. If your current attorneys I not acting in good faith, we will tell you. You should not be unfairly treated by your current attorney. Call our firm, Kenmore Law Group, to receive a free second opinion about your case. Kenmore Law Group is one of the premier law firms in the Los Angeles area. We have handled various cases where individuals on Lime scooters have gotten injured and we know the best ways to win your case. Our aggressive lawyers will negotiate the best settlement from the company and will not stop until we are satisfied with the result. If we need to take your case to court, we will present your claim in front of a judge and jury to show that you are owed rightful compensation. Call our law firm today to set up a free legal consultation with an expert attorney about your Lime scooter accident lawsuit. We will answer your questions and help you understand how the legal process will unfold. Our lawyers are available around the clock, and you can contact us any time of day, any day of the week, if you need assistance. 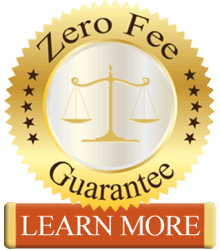 If you choose us to handle your case, we will give you our zero fee guarantee, which ensures that you won’t pay any fees with out of pocket expenses. Our legal bills will get taken care of by the settlement the win for you. Lime will, therefore, cover your damages and your legal expenses. If we lose your case, you don’t have to pay us a penny, and we’ll eat the losses ourselves. To learn more about the value of Lime scooter accidents, contact Kenmore Law Group today.